Literary Fiction Disguised as a Thriller. Stephen King wrote in his latest book, The Bazaar of Bad Dreams, that he likes short stories because it prevents him from going off on tangents. 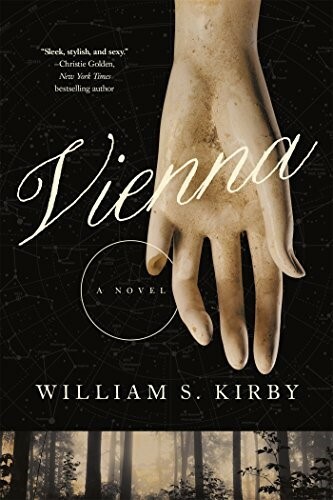 Vienna is a book full of tangents on European history and art. While some do relate to the main mystery, most do not. However, I actually enjoyed the asides better than the main plot. The main plot is a mystery and a treasure hunt, which is why it is sometimes compared to the DaVinci Code. However, it is not fast moving enough to be labelled a thriller and I found the ending to be both obvious and anticlimactic. I also really disliked the two main characters due to one’s annoying mental disorder and the other’s conceit. Overall, I wouldn’t recommend this book to thriller or mystery readers like me as it would be better suited for literary fiction readers. I think it deserves 2.5 stars but I rounded up to 3 because I really liked the obscure history and art facts within the story.